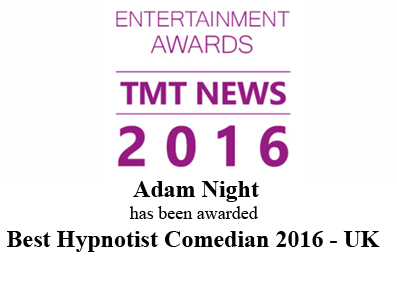 This is the story of where we believe hypnosis started and it’s journey to the stage hypnotists and their comedy hypnosis shows of modern day. Mass or group hypnosis began with ancient civilizations. Many group rituals, such as mass chanting and meditation to a steady drum beat were parts of religious ‘hypnotic’ ceremonies. There was healing of the mind before any medical practice, probably the very first hypnosis stage shows! The term Hypnosis comes from the Greek ‘hypnos’ which means sleep because of the Trance State. However Hypnosis is not a sleep as we know it, because the person involved stays alert, they are still able to talk and move, plus they show different patterns of brain waves. The first type of hypnosis or hypnotism to be accepted and experimented with was animal hypnosis. In the 1600′s, people used hypnosis to calm poultry by various means, such as balancing wood shavings on their beaks or tying their heads to the ground and drawing a line with chalk in front of their beaks. French farmers learned how to hypnotise birds to sit on eggs not their own. In the mid 1800′s in Germany, travelling hypnotists’ shows went from town to town with birds, rabbits, frogs, salamanders and others. In Manchester, a famed event was hypnotist and entertainer La Fountaine demonstrating his hypnosis show on a lion. In the late 1800′s, Hungarian performer, Volgyesi hypnotised all the animals at the Budapest zoo. Scientists and biologists such as Preyer, Verworn and Emile Mesmet studied animal reflexes (like paralysis from fear) that might cause such phenomena. B. Danilewsky (from the renowned Salpetriere) did experiments with animal hypnosis and studied all of its physiological showings in animals. In 1904, after winning the Nobel Peace Prize, Ivan Petrovitch Pavlov, a Russian physiologist, found that dogs, if given a signal before food, would, after a time, salivate when given the signal without food. This was related to the conditioning of human behaviour. Because he had found that much of his experiences had pertained to conditioning and reconditioning reflexes and patterns of behaviour, Pavlov became interested in hypnosis and the hypnotic phenomenon , which he thought induced states similar to his experiments. Dr. Franz Anton Mesmer produced his own theories of something he described as magnetism, a theory of a universal fluid already in all things with uniform characteristic at all levels of creation with magnetic fields and vibrations. He effected a cure for a young lady of convulsive attacks by putting magnets on her legs and mid section. He then started relying on his powers of the laying on of his hands and using his own fluid in healing. His house in Vienna was transformed into a clinic, and as His reputation grew the fashionable set of Swabia and Switzerland started to consult him. After he had cured the director of the Munich Academy of Sciences, he was elected as a member of the Bavarian Academy. He returned the vision of a famous, young, female musician, Mille Paradies, who had become blind at the age of four when she heard a noise outside her bedroom door. When her mother and father returned to take her back home, she did not want to leave. Her mother hit her, Mesmer intervened, so her father drew a sword. Mesmer did likewise and forced him back. The mother passed out and the young lady (who had become blind again) stayed with Mesmer, causing a tremendous scandal. So in 1778 Mesmer travelled to Paris. The king of France organised for the French Academy of Sciences members to view Mesmer’s early hypnosis experiments. However they concluded that the cures were due to imagination and therefore not valid. They said medicine already had many cures for the diseases magnetism cured. Mesmer used to treat 30 clients in a large barrel containing several layers of bottles of magnetised water at the base. The top of each bottle pointed to the centre and bent iron rods were inserted into holes in the lid covering the entire vessel so that they could be applied to the affected body parts. A cord was also used for this. Volunteers were placed facing each other if possible and as close as possible to each other touching legs, knees and feet as much as possible so that the magnetic fluid could continually move around. Singing and harmonicas accompanied this. Often clients would cough, spit, feel heat or pain, or be rocked by convulsions lasting 5 hours (these subjects were carried into an adjoining room padded on all sides). Mesmer wore a lilac silk coat and carried a long iron wand with which he would touch the patient’s bodies. He also magnetised them with his eyes (a hypnotic stare! ), the laying on of his hands, or putting his fingers into a pyramid shape passing his hands, lightly all over patient’s body beginning with the head. He would continue this until the patient was saturated with healing fluid and swooned from pain or pleasure. Mesmer published a treatise in 1779 trying to impress the Academy doctors. He became such a success with his patients that he had to take on assistant magnetisers. He opened a clinic at Creteil, then bought the Hotel Bullion to set up 4 more of his tubs. He also magnetised a tree at the end of the street rue Bondy. Thousands attached themselves to it with a rope attempting cures. Mesmer aided many well educated people who then documented their accounts of his cures. He became wealthy and lived elegantly. He reportedly even demanded a castle and got it! However he never got the sanction of the medical body. The Faculty of Medicine ordered Dr. Charles Desion to renounce magnetism or be struck from the roll of doctors. Desion asked the king to appoint a commission to rule on the effectiveness of magnetism. Two commissions concluded an unqualified condemnation of magnetism. Because of this, and a failure with Prince Henry of Prussia, Mesmer questioned whether he still had his magnetic power. He retreated to live in the forests by a lake. He was later imprisoned in Vienna for making political comments. In 1802, France granted him a pension. The King of Prussia invited him to teach animal magnetism in Berlin, but he declined. He stayed in France, caring for the poor, until his death in 1815. Although magnetism was condemned by the medical body. It continued to flourish with research, studies and demonstration. Three brothers, disciples of Mesmer’s secret society. The Society of Harony’ (a philanthropic organization), practised magnetism. One of them organized a vessel and offered six hundred pounds to anyone who could prove that their cures were not real. One patient, Victor, would fall into a trance and speak with incredible ease and diagnostic accuracy about the course of his own, and others, illnesses, he could read thoughts and obey orders easily. He couldn’t remember anything when woken up from the trance. This was defined as (magnetic) somnambulism. In 1825, Dr. P. Foissac invited the Academy of Medicine to examine his somnambulists whom he declared capable of diagnosing diseases, with inspiration bordering on the genius of Hypocrites. Conclusions of Academy, effects of magnetism were due to boredom, monotony and imagination (except for second sight), but occasionally magnetism alone did produce results. In 1845, a Scottish doctor, James Esdale, opened a hospital in Calcutta and began a famous series of operations with no pain and almost no deaths. His practice was made up of rajahs with one hundred prominent witnesses. In India, so many had been afraid of operations, they had lived with tumours sometimes as large as their bodies (up to eighty pounds). By the time he left, he had performed over two thousand operations. In 1841, a Swiss named La Fontaine gave three performances of magnetising a lion at the London zoo. James Braid, a Scottish surgeon, was present and convinced it was all a hoax. But he became curious why one subject could not open his eyes and conducted experiments with his wife and one of his servants. He decided that a fixed gaze paralysed nerve centres and destroyed the balance of the nervous system. Two years later, he published his theories call ‘hypnotism’ for the first time in it’s modern form. Hypnotism was no longer associated with magnetism and universal fluids. 4 years later, Braid regretted his choice of the work, for those who slept were in minority and those who were influenced were concentrating their thoughts. He had excellent results and published a book called “Neurhypnology” on his theory called Braidism In 1866,Ambrose-Auguste Liebeault became a psychologist treating mainly the poor with no diagnosis or examination. He suggested in a monotonous and penetrating manner that they feel better with suggestions regarding health, digestion, circulation, coughing, etc. He had 100′s of cures. A professor from the University of Nancy, Hippolyte Bernheim arrived to expose him and instead was convinced. Together, they started what is known as the Nancy school. Prior to Freud, suggestion was the only known method of psychotherapy. This was used extensively with good results. Bernhei joined Liebeault and they formed a practice together. In twenty years, they treated over thirty thousand clients with suggestions under hypnosis. They had such amazing success that doctors from all over Europe came to study hypnotism under them, including Freud. Bernheim wrote a book on hypnosis ‘De la Suggestion,”which Freud translated trying to find a physiological explanation of, hypnosis, suggestion in the nervous system. At the Salpetriere in Paris, many doctors originated numerous theories of hypnosis and hypnotism from ischemia being the cause of hypnosis and post-hypnotic amnesia which might cause permanent brain lesions (Neynert) to being a type of sleep (August Forel). In general, it was agreed that hypnosis (hypnotism) inhibited certain cortical activity in the brain allowing suggestions to be more readily accepted. Jean-Martin Charcot, head of the Salpetriere, believed it was an alternative state of consciousness. Whereas the Nancy school was based on psychology and verbal suggestion using light hypnosis with no amnesia effect the Chariot School studied physiology, reflexes and physical means to affect these, like deep hypnosis with amnesia, magnets or metal plates (effects discovered in 1876 by Dr. Burcq). Transference (one patient’s ailments passing to another) was discovered. This was perfected by a hypnotist and neurologist, J.F.F. Babinski. He became head of the clinic when Charcot died. Babinski changed his mind about the physical effects of hypnotism and accepted the hypnotic theory of suggestibility. He tried to prove Hysteria was the diseased manifestation of hypnosis. Soon, hypnosis was associated with neuroses and weakness; no one wanted to be hypnotisable. Hypnotism sank into obscurity, except for Dr. Pierre Janet, head of the pathological psychology laboratory, who still believed in hypnosis. Christian Science (a religion that teaches that diseases can be cured by spiritual means) and psychoanalysis swept the U.S. and Europe, replacing hypnotism. In 1880, the daughter (known in case histories as Anna O) a patient of Dr. Joseph Brier (A Viennese internist and Freud’s collaborator) developed symptoms of hysteria. She would go into spontaneous hypnosis and tell Brier childlike stories, sleep and awake refreshed. If he did not come one day, she would worsen until she told him two stories the next day. After her father’s death, she began to include memories from the early months of nursing her father where he symptoms began. Each time she did, the symptoms gradually disappeared until she was cured. The emotional ordeal Breuer was put through caused him to refer all patients of this type to Freud. Freud continued to use this treatment method. Freud’s theories at this point were as follows: People normally have doubts and misgivings, which they succeed in controlling. The physical exhaustion caused by nursing an ill person might predispose on to psychic states thereby causing loss of control. He thought suppression was caused by the failure to react to trauma, which in it’s self caused problems. When he insisted that patients “remember”, they would often do so, but he found much resistance and came up with the theory of defence. This was also applied to sexual life-the effect of pushing away sexual feelings could transfer to another object causing obsessions hysteria, etc. Freud and Breuer thought release of intense emotions of traumatic events was a purge for the patient. Sharing the emotional experience often produced a speedy curative effect. Freud found that many hysterics had previously experienced infantile sexual traumas such as seductions, assaults, etc. However in 1885, he started having doubts and finally gave up this train of ideas. He did so because he was not able to hypnotise many people, and found much resistance; he doubted whether his treatments could overcome the ego’s resistance and supply the real answer or he would have had more satisfactory conclusions. He found out that many of the incidents people had supplied when he insisted they remember were not accurate. He underwent self-analysis and then went into different areas of psychology-free association and dream interpretation. In the 1920′s, Emil Coue, originally a pharmacist, made a study of the psychology of suggestion and operated a clinic in Nancy, France. His successes helped to make autosuggestion for self-benefit the vogue in Europe. He made an exhaustive study of the effects of hypnotic suggestion. At first, he supplied intensive details with his suggestions, but later switched to generalisations in order to allow the subconscious to work out its own best solution and include all that the person might be aiming at. His most famous techniques are: 1) repeating every day again and again, “Every day, in every way, I am getting better and better” 2) if someone thinks that they want to do something, but they can’t the harder they try, the less they will be able to (i.e., always thing positive); 3) “when the imagination and the will are in conflict, the imagination always wins” (used as a theory of why hypnosis worked); and 4) an idea always tends towards realisation and a stronger emotion it always counteracts a weaker one. Many others in Europe (but not in US) worked with suggestive techniques. Coue was an amazing success. Coue is considered the initiator of T. H. Schultz’s autogenic training, which is derived from hypnosis. This is a method of physical conditioning to produce psychobiological alteration in the subject without any psychological techniques being used. The patient obtains control over the voluntary muscles (with which he is most familiar), and then the circulatory system, heart, respiration, organs and head. The hypnotist is not needed and results can be measured. During wartime, hypnotists were used to put soldiers back into action. Hypnosis reduced the stress and the soldier was able to overcome environmental pressure (such as in the case of Anna O). Although hypnosis was not an accepted practice, there were so many soldiers with illnesses caused by wartime trauma that many psychiatrists used the same hypnosis technique as Breuer, for reliving emotionally stressful war situations, to cure the patient quickly. This worked well, and hypnosis gained some respectability. was begun in 1948 and has become wide spread. The American Society of Psychosomatic dentistry (an association of ethical dentists who are trained and certified to apply hypnotic techniques) has been established. Surgeons had tried everything on a 15-year-old boy who had ichthyosis (“fish skin” disease). In 1951, after hypnotherapy with Dr. A.A. Mason, the boy’s arm was cured in ten days. In slightly more than a month, the rest of his body was healed. Because this was a reversal of the natural course of a congenital disease, this incident helped in Great Britain’s official recognition of hypnosis in 1955 as an example of psychosomatic medicine. Dr. Mason also wrote of a young lady, who, because of chemical anaesthesia for breast surgery, stayed in the hospital for a month after surgery with postoperative deliriums, continuous vomiting and excessive bleeding. She needed a second operation. This was performed under hypnosis, as a hypnotic test, she had a tooth extracted while in a trance with no pain) when he accidentally got alcohol in her eye thus enabling the nurse to wipe the alcohol out of her eye. Dr. Mason indicated how many surgical accidents could be avoided this way, especially in preserving the coughing reflex, since blood, saliva, or vomit entering the respiratory tract causes most deaths under anaesthesia. In 1958, the American Medical Association approved a report on the medical uses of hypnosis. It encouraged research on hypnosis and hypnotism although pointing out that some aspects of hypnosis are unknown and controversial. The British Medical Association expressed a similar opinion shortly thereafter. Later, the Italian Medical Association for the Study of Hypnosis was founded.